Margaret is currently writing and developing new drama projects for television and cinema. Her respected and internationally successful work has always taken a new and original approach, with an individual creative vision at the heart of all her films. She is particularly known for her many award-winning dance and music-drama films but has also made documentaries in difficult locations: India, Israel, Jordan, South Africa and the former East Berlin, and directed dance films in equally challenging and surprising environments including Brazil, Chile, Cuba and Venezuela. Her long-term collaboration with choreographer Victoria Marks continues, previous work includes the award-winning dance films: OUTSIDE IN (BBC); MOTHERS AND DAUGHTERS (Channel 4); MEN, (BBC) and VETERANS, performed by US Veterans from the West Los Angeles combat rehab/PTSD clinic and shot by Margaret on location in and around Los Angeles. Other dance films include ONE MAN WALKING for Channel 4 – a collaboration with Kenrick Sandy, Blue Boy Entertainment and Jonzi D. The film explores some of the intensity and challenges of life in the metropolis. The WAPPING PROJECT held a retrospective of Margaret’s dance films at Wapping Hydraulic Pumping Station in London. Multi-camera work screened in cinemas across the UK, Europe and the rest of the world includes: Maxine Peake’s HAMLET the FILM; PETER GRIMES on ALDEBURGH BEACH; Katie Mitchell’s productions of WRITTEN ON SKIN for BBC4, and LUCIA di LAMMERMOOR and, most recently ‘LESSONS IN LOVE AND VIOLENCE’, broadcast BBC4, October 2018. Margaret’s film versions of OWEN WINGRAVE, POWDER HER FACE and ARMIDA, were filmed with cast singing ‘live’, not to playback, and all were received to great critical acclaim. 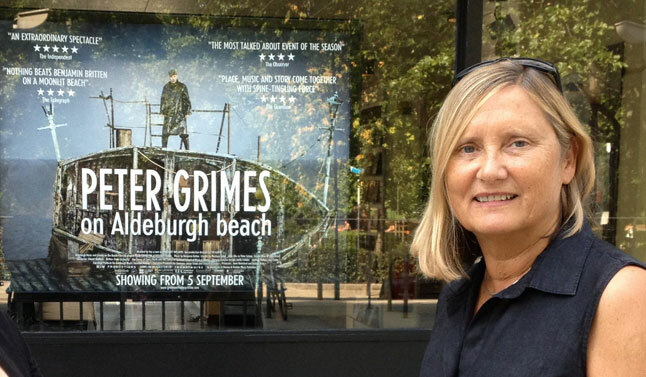 Margaret’s film PETER GRIMES on ALDEBURGH BEACH was extremely well received by audiences and critics alike – described as ‘immaculately directed’ – it’s been shown around the world as part of the British Council’s prestigious celebrations for Britten’s Centenary.